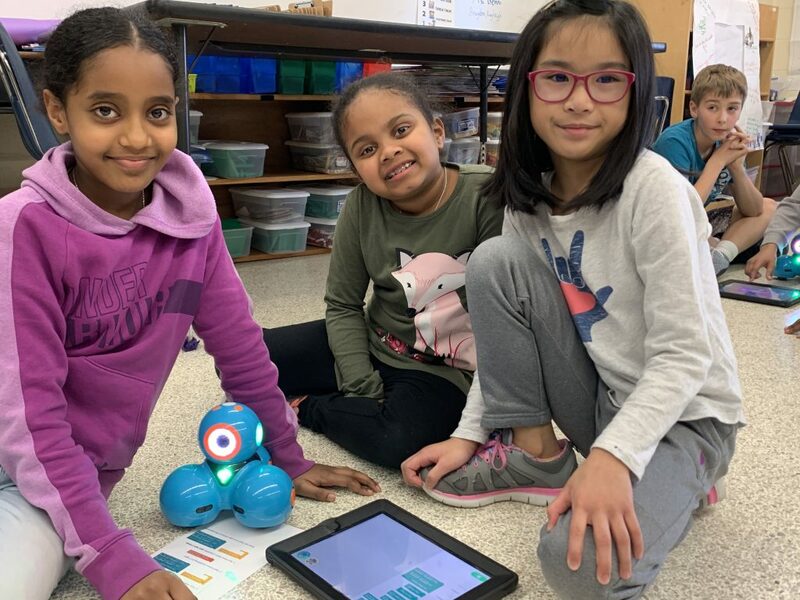 Rosemont Elementary School second-graders used DASH robots to learn about coding. 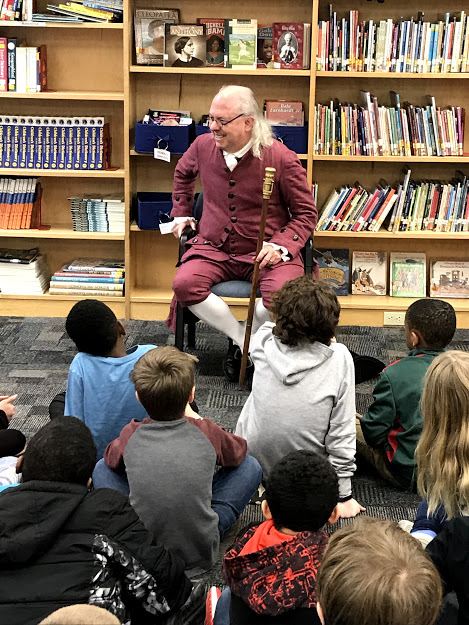 Benjamin Franklin visited with third-grades at Woodstock Elementary School. 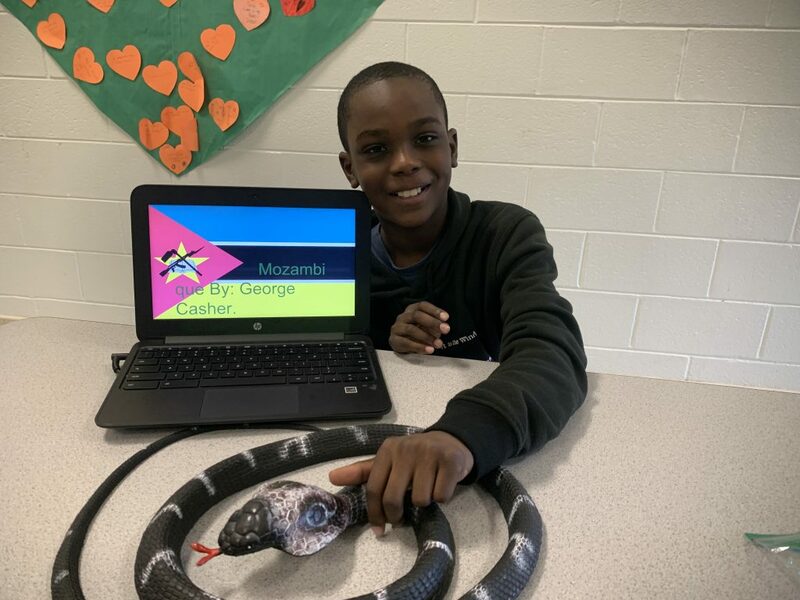 Providence Elementary School fourth-grader George Casher showcased the Mozambique Cobra as part of a Trip Around the World event. 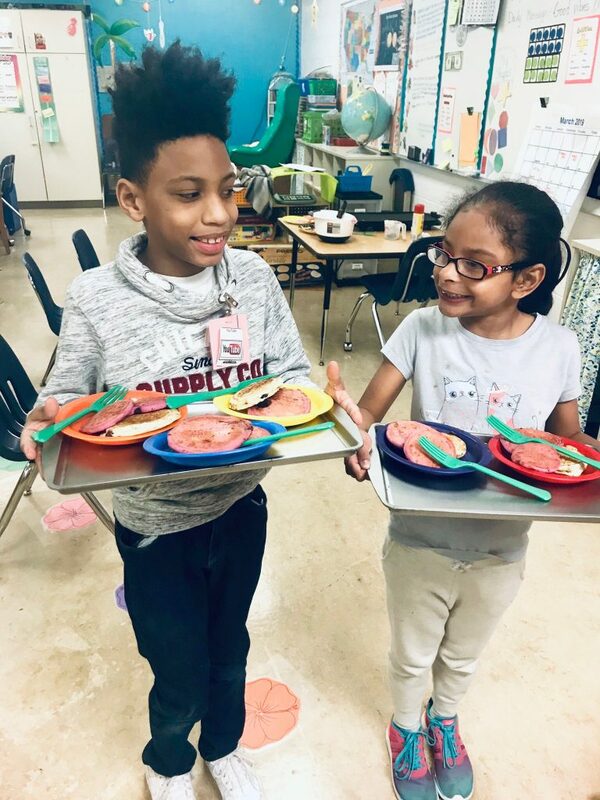 Kempsville Elementary School studentss Josiah Faulks and Karissa Ruiz proudly presented their purple pancakes to the office staff for Mardi Gras. 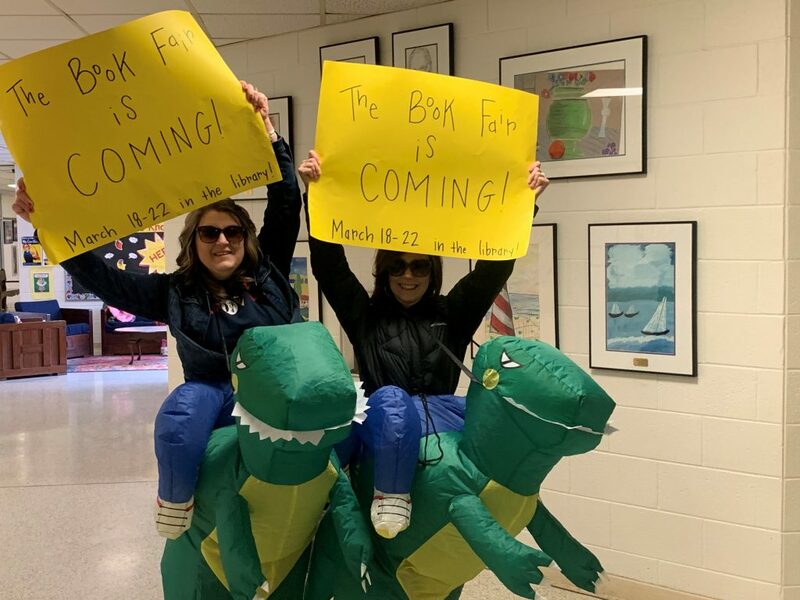 Providence Elementary Library Media Assistant, Lisa Ziegler and Library Media Specialist Erin Berens are walking advertisementts for the Book Fair coming March 18. 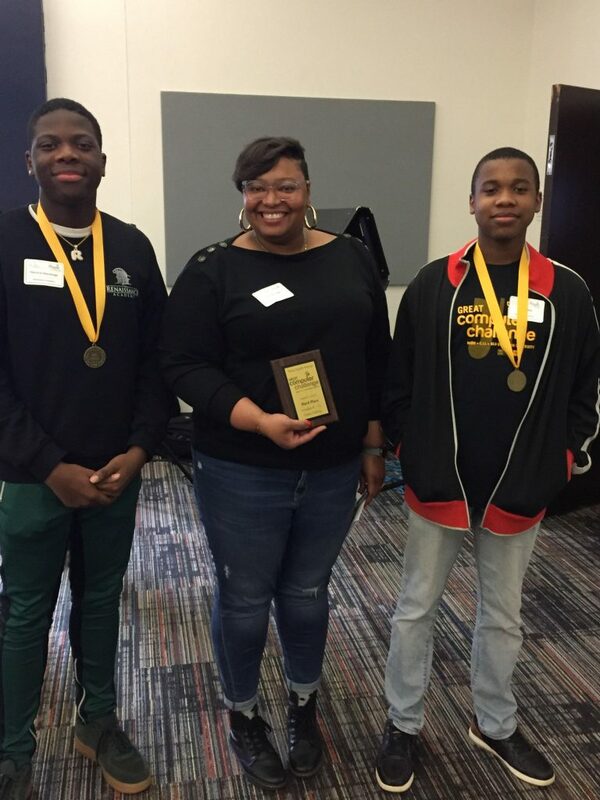 Renaissance Academy students from the Television Production class placed 3rd (out of 5 teams) in Video Editing at the 34th Annual Great Computer Challenge. 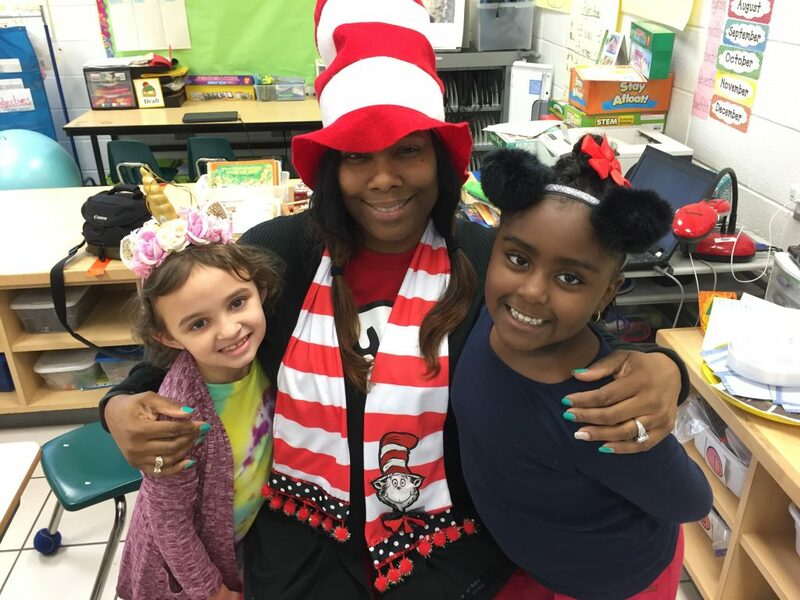 Diamond Springs Elementary first-graders Santina Morris and Madison Sutton celebrated Read Across America week with their teacher, Nicole Barclay-Boson. 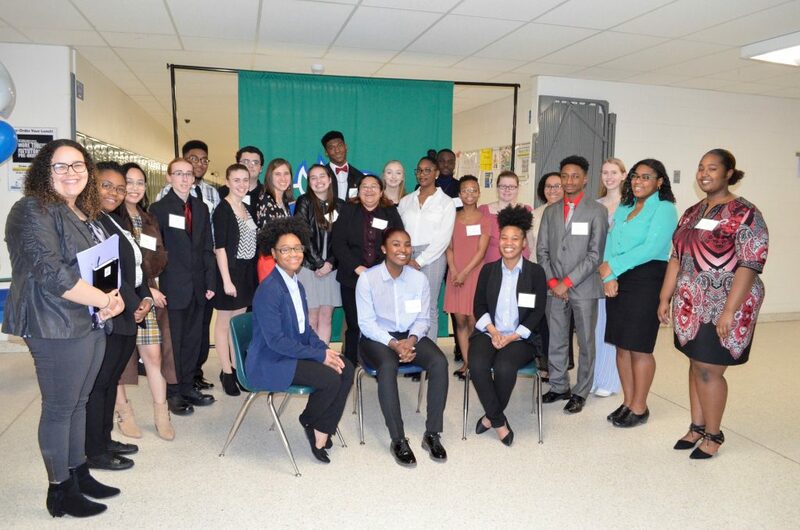 Green Run Collegiate’s final internship candidates have been placed in wonderful organizations around Hampton Roads. 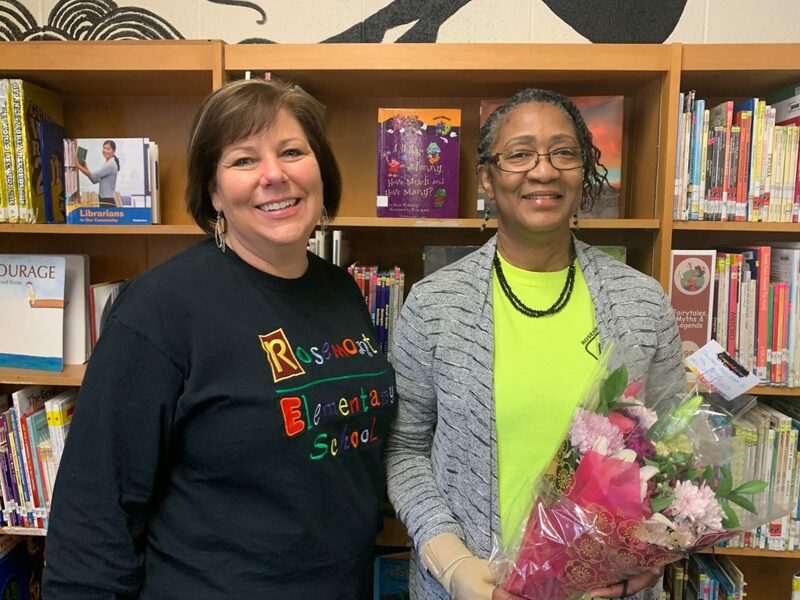 Oranee Sailes, was named Rosemont Elementary School’s Teacher Assistant of the Year. 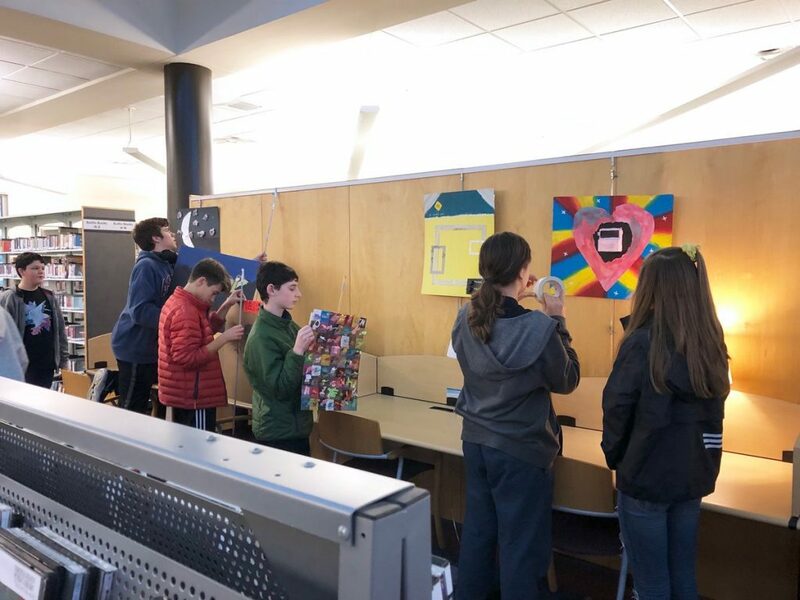 In celebration of Youth Art Month, eighth-grade art students from Old Donation School installed their own artwork in the Bayside Special Services Library. 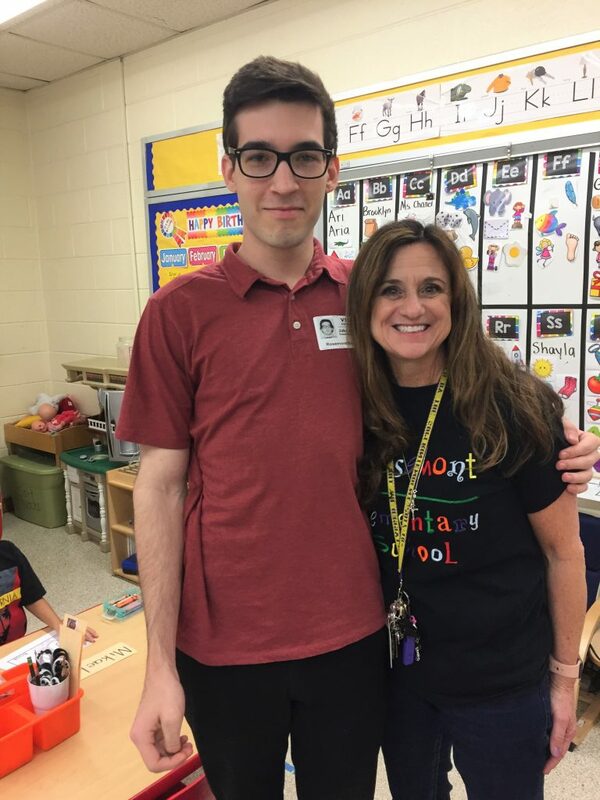 Rosemont Elementary School Pre-K teacher Theresa Holloran was surprised by a former first-grade student she taught, Jake Albert. 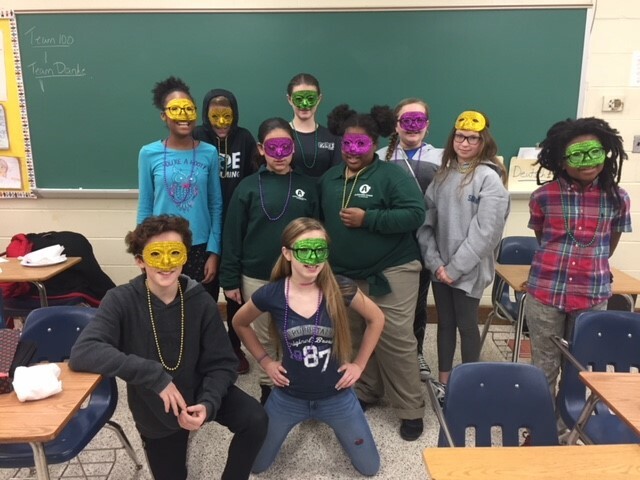 Lynnhaven Middle School students : Cade Howlett, Aimee Ord, Theorie Augustus, Amya McKinley, Love Tate, Savannah Vroman, Lamont Hayes, Aiden Parker, Savannah Douville and Sadie Moore celebrated Mardi Gras. 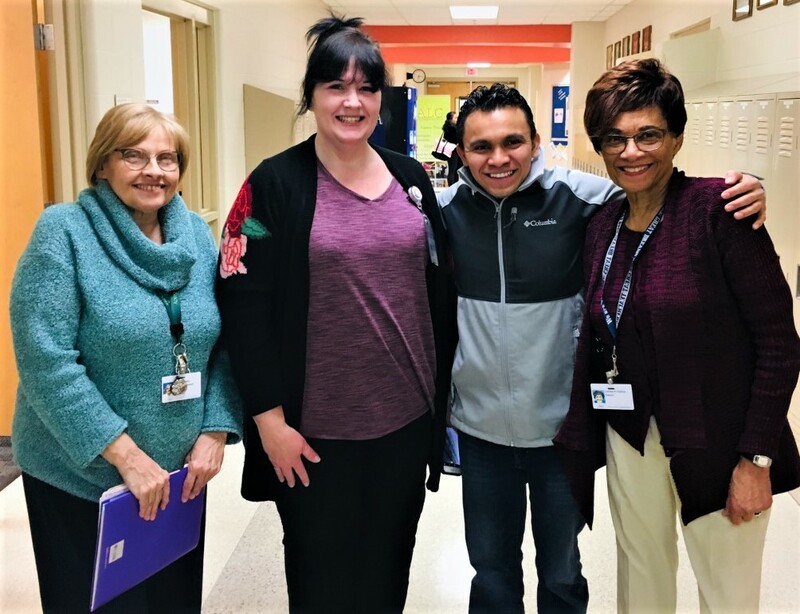 Jose Cedillo celebrated passing his final GED® test at the Adult Learning Center with Linda Fello, Angella Wetterlin, and Leona Collins. Jose started with the ESOL program nine years ago to learn English. 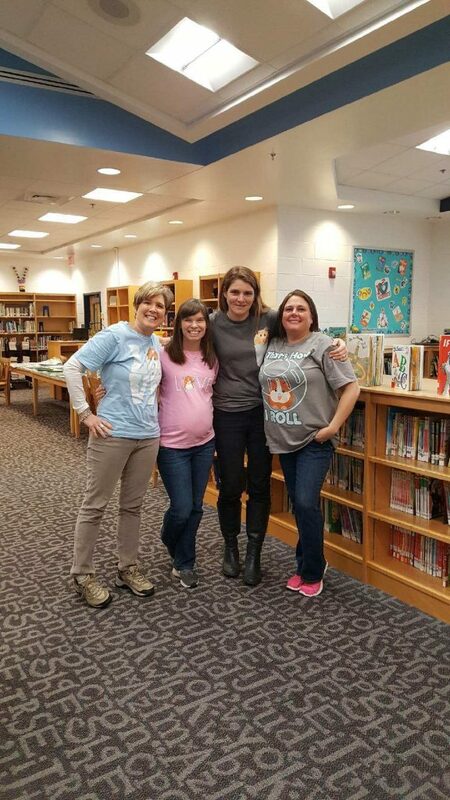 He spoke none at the time as he and his family had just entered the U.S. from Honduras. 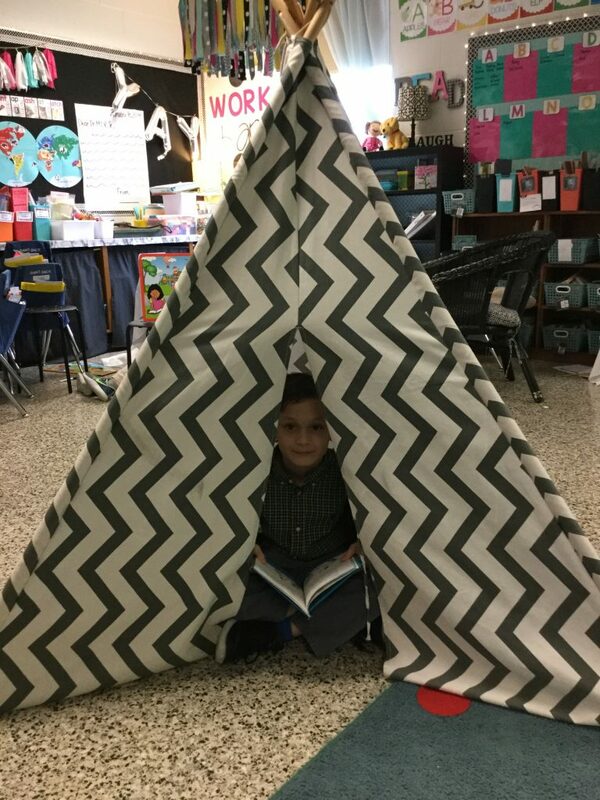 Princess Anne Elementary second-grader Kadyn Carolino camped out at Camp Bookworm to celebrate Read Across America. 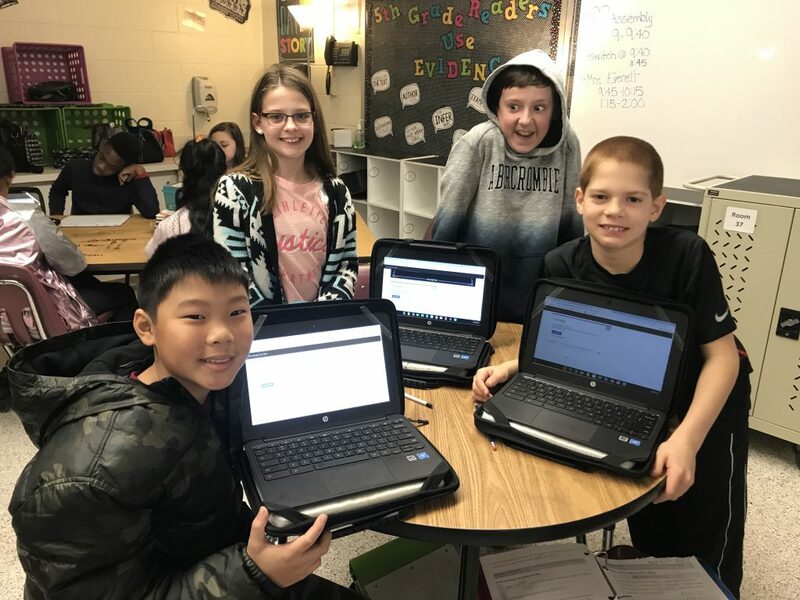 Tallwood Elementary School students enjoyed Digital Learning Day. 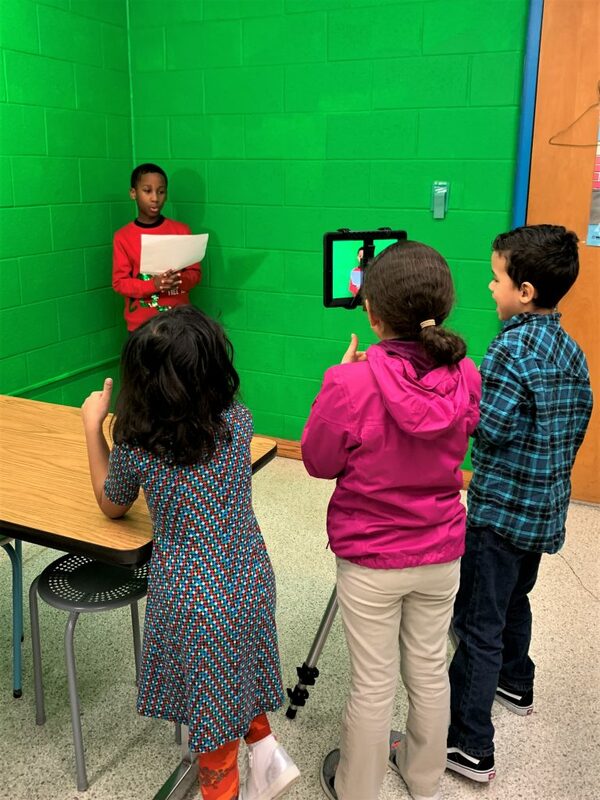 Rosemont Elementary School students used the Green Screen app on their iPads to create a video about famous African-Americans they had researched. 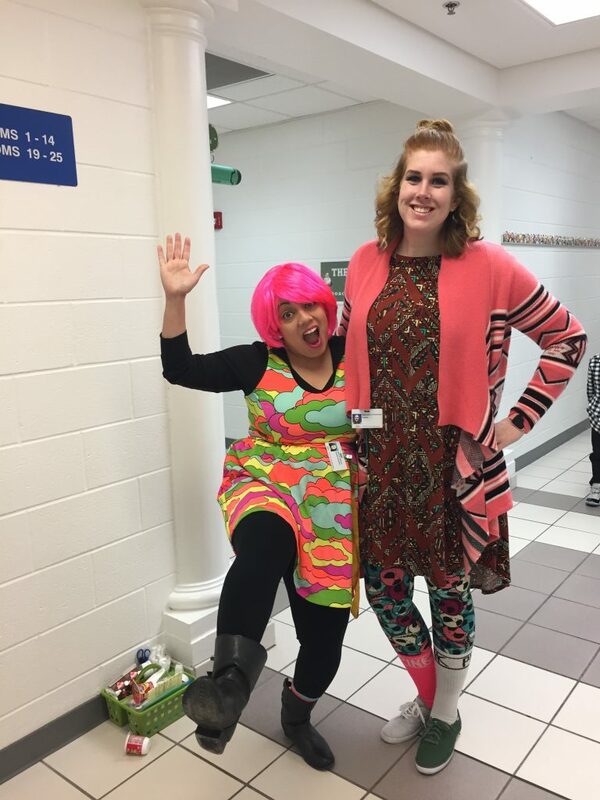 Stephanie Kemether and Janice Rivera celebrated Wacky Wednesday as part of Read Across America Week at Diamond Springs Elementary School. 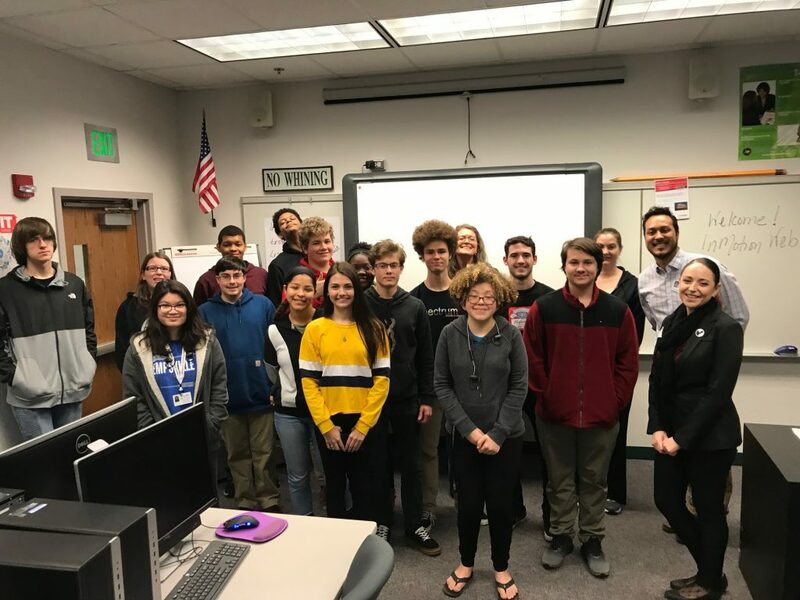 InMotion Hosting’s web design team held a training for WordPress site development with the web design students at the Advanced Technology Center. 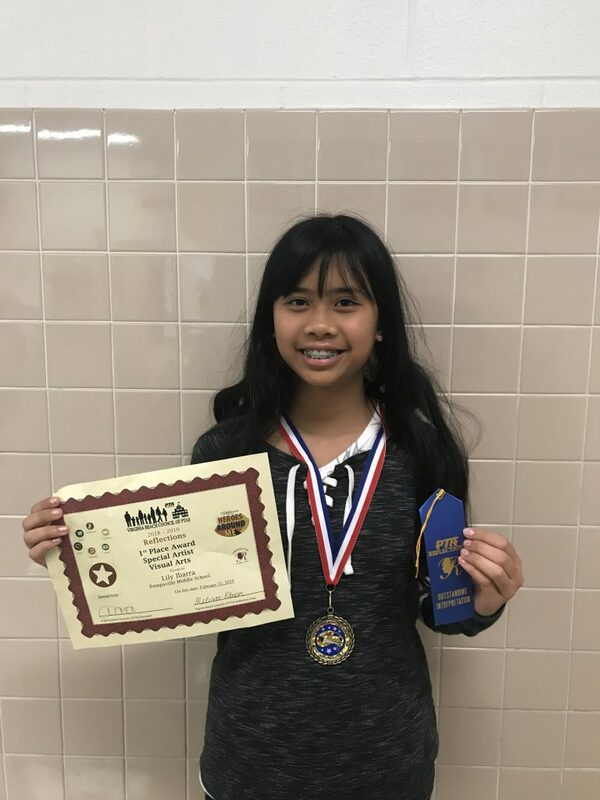 Lily I. was awarded first place for the Reflections Special Artist Visual Arts contest at Kempsville Middle School. 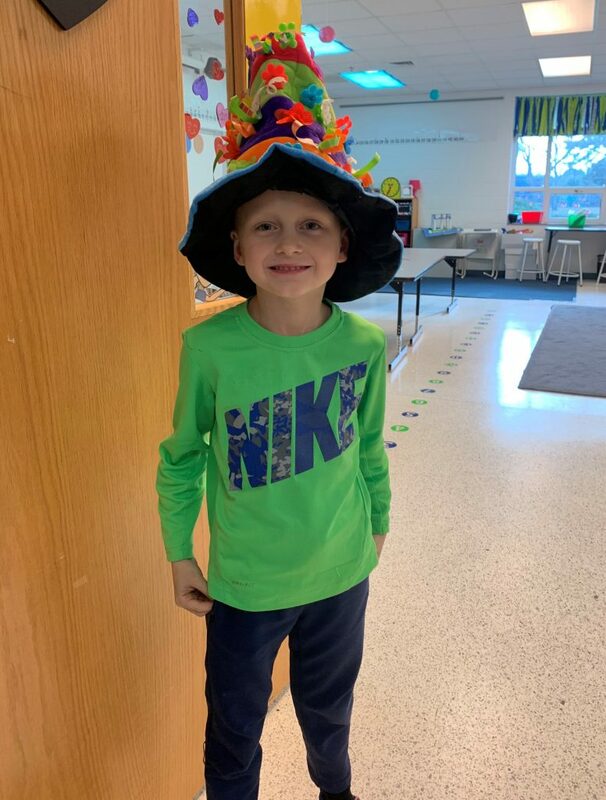 Liam Robertson wore a Seussical hat in honor of Reading Month at Hermitage Elementary School. 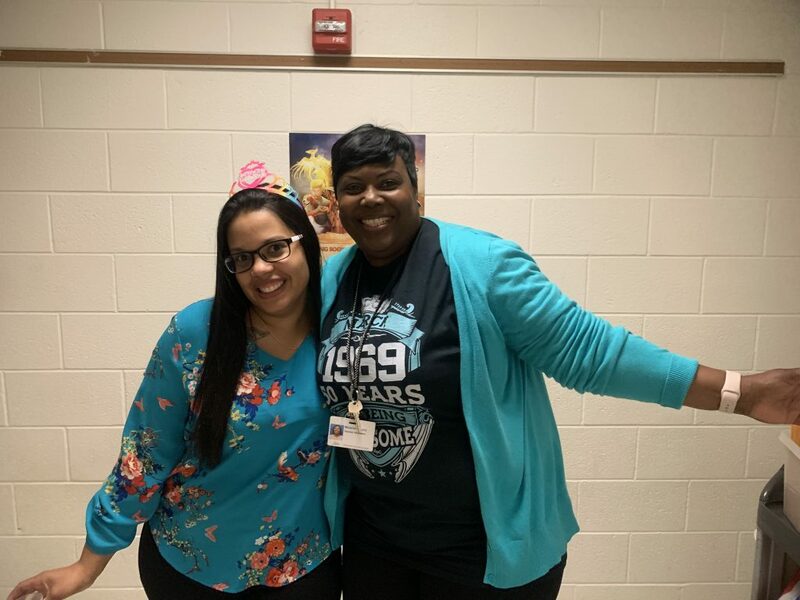 Miriam Bogdanova and Melanie Lucy, both teacher assistants at Providence Elementary, were birthday twins March 6. 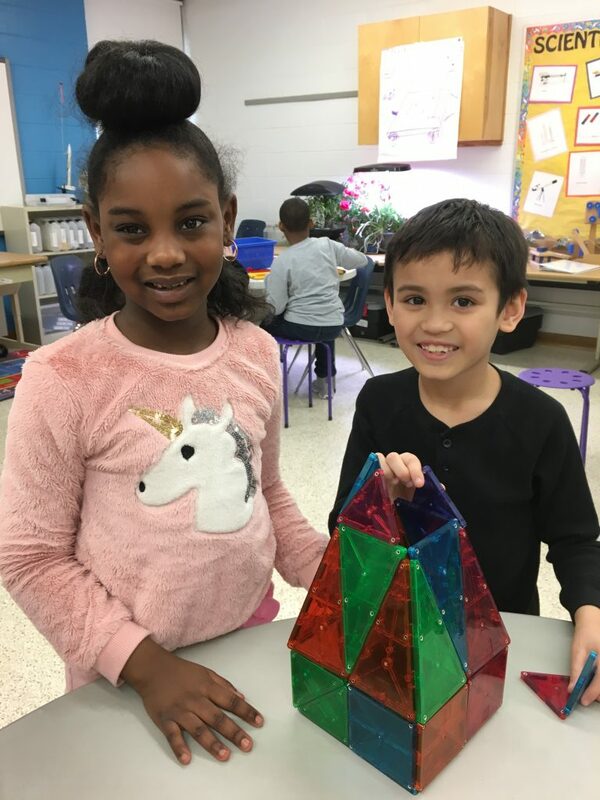 Green Run Elementary second-graders Raelynn Cole and Zachry Shivar showed off a model that they created in Maker Space in the school’s science lab. 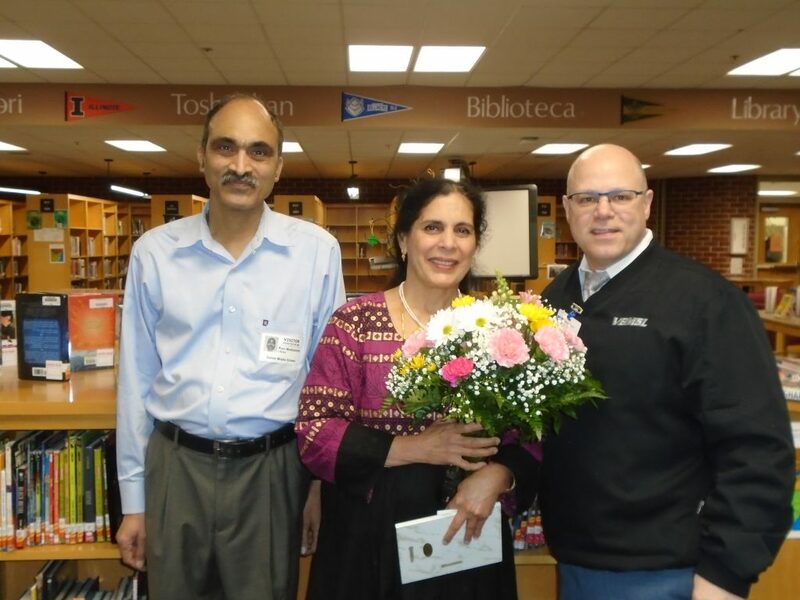 Yasoda Mukkamala is Salem Middle School’s 2019 Teacher Assistant of the Year. 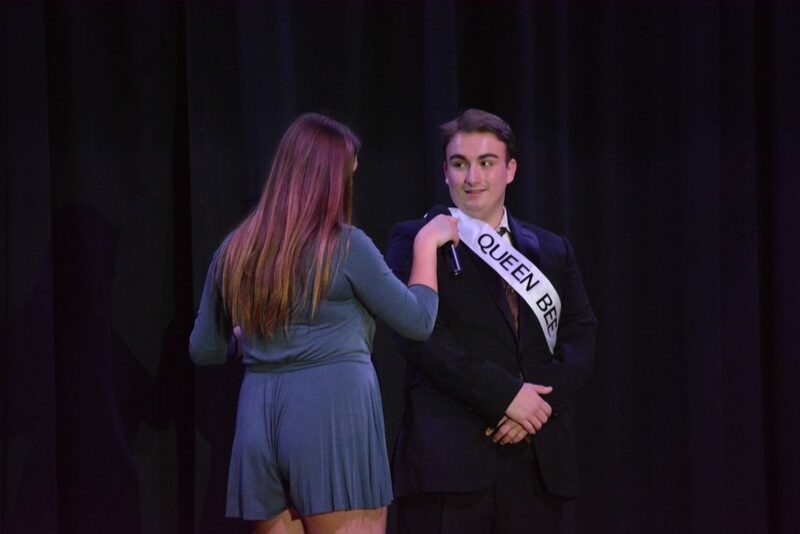 Cox High School senior Frank Adams was named the school’s newest Mr. Cox by SCA president Abbey Faro.